It’s starting to get a little chilly in LA, just a little bit. During the day it’s still quite warm, but once the sun goes down – it gets breezy and cool enough for me to put on a sweater and a scarf. Daylight savings was just a few weeks ago, but my body still hasn’t adjusted to the time change. I’ve been feeling super lazy and tired at all hours and taking naps all weekend. 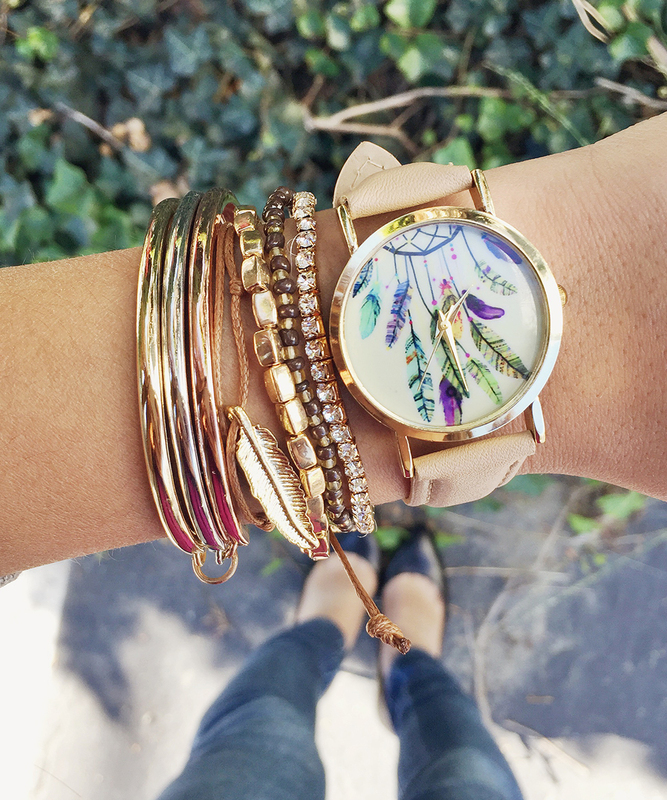 Good thing my Dreamcatcher Watch and matching bracelets are making all my Autumn outfits look super cute and helping me keep track of time. It’s the perfect accessory because it’s an arm candy bundle all in one – and it makes perfect holiday gifts. Getting cozy, bundling up and layering are my favorite hobbies when it gets chilly making infinity scarves my favorite thing to wear during the Fall/Winter season. Baubles & Gems now offers the softest and warmest infinity scarves in their shop along with the newest and cutest fashion jewelry. 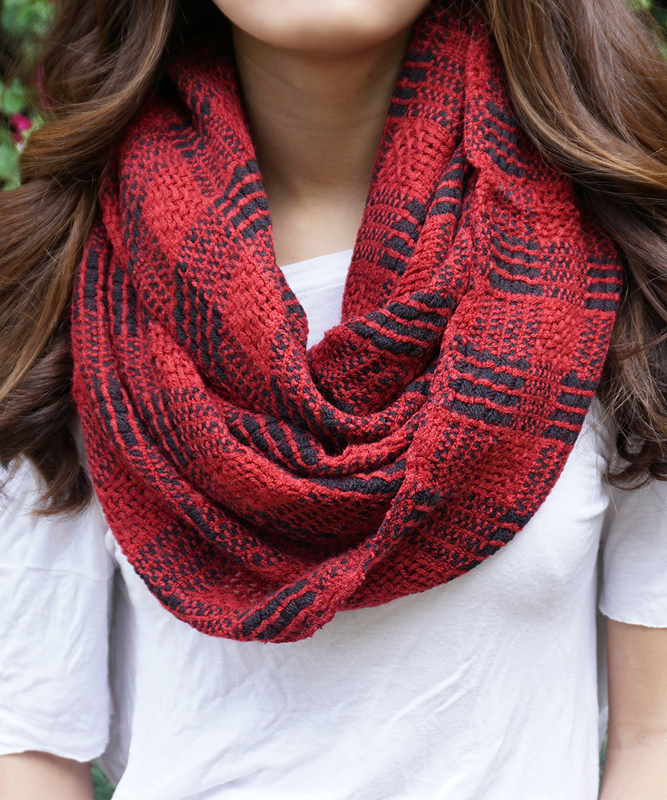 Plaid is a Fall classic and it goes amazing with jeans and a white tee. 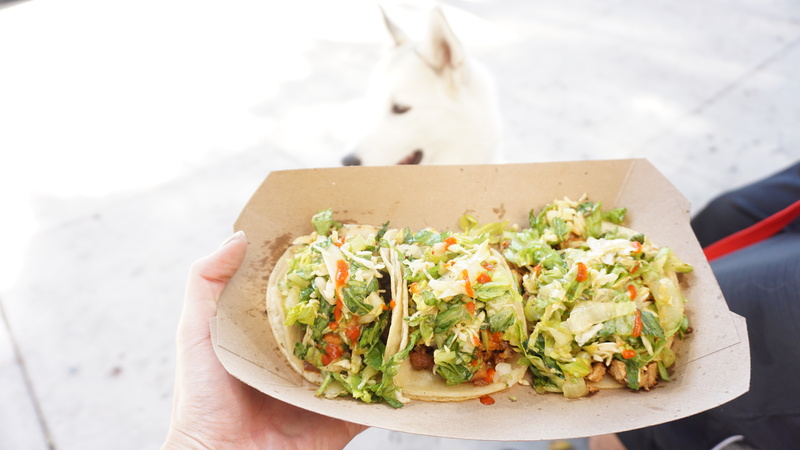 Aside from cute accessories and fall inspiration, I also finally tried the Kogi truck again and it was better than I remembered. The first time I had it – I remember having to wait a really long time and the tacos didn’t live up to the wait time or the hype, but this time I came across the truck in Pasadena a little after the lunch rush hour as I was on my way home and there was no line at all. The short rib and spicy pork tacos were my favorite. It was so much fun having a mini pomeranian party out at Pan Pacific Park with my new friend Ami and seeing my old friend Ryan. 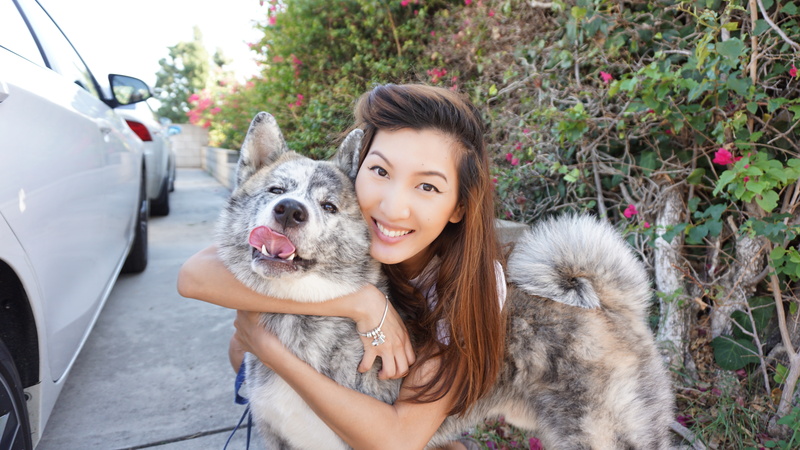 We snapped a few photos of just my casual little outfit for a day at the park – comfort is always key when planning a day with Sachi because he always wants to be picked up and I’m always running around after him. These flash tattoos are also one of my favorite accessories to wear this summer season when showing a bit of skin it’s fun to add a little sparkle on my shoulder or arms. I have also been wearing this turquoise stone choker necklace on repeat because it goes with everything! It’s so unique and the summer-y colors are perfect to wear with denim and all my casual outfits. This is the first two-piece matching set that I’ve owned from Style Moi and I looove it – the banana print all over is so fun and cute; this outfit also came with a matching green bunny headband. Super adorable! 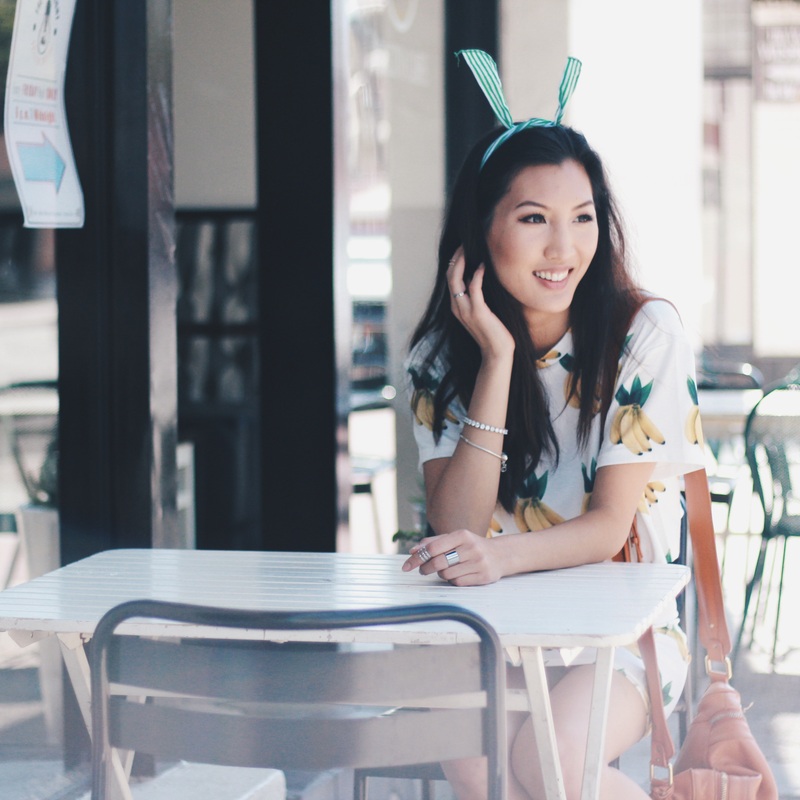 I ventured with Christy to Fullerton and she showed me this cute little wall of greenery and cafe where we were able to snap some photos of this outfit. I paired this outfit with these bright green espadrille wedge sandals that I purchased a few summers ago from H&M. Fences were made as boundaries to be broken down and busted into – this week I’m breaking fashion boundaries by not wearing pants haha and just rocking lingerie with some knee high socks and a flannel tied around my waist rated PG for the kiddies. I’ve never believed in pants unless its freezing outside and this outfit definitely demonstrates that no pants are the best pants. This weekend I had the pleasure of spontaneously meeting, pseudo-hiking and shooting with my girl Christy. We talked about it on Saturday and met up the next day – unfortunately, I forgot the outfits that I had prepared at home, but we worked with some of the pieces that I did bring and the results were amazing. In the photos above, I’m wearing a coral pink bralette with polka dot detailing from Forever 21 and wrapped a black and white plaid flannel button-up from Hurley around my waist. My crystal tennis bracelet can be found here – it’s one of my favorite pieces to wear because it’s subtly sparkly and goes with all my outfits whether it be casual or dressy. These hoop earrings are not your standard round hoops, but they have a unique and edgy wave to them and are decorated with clear crystals which can be purchased here. 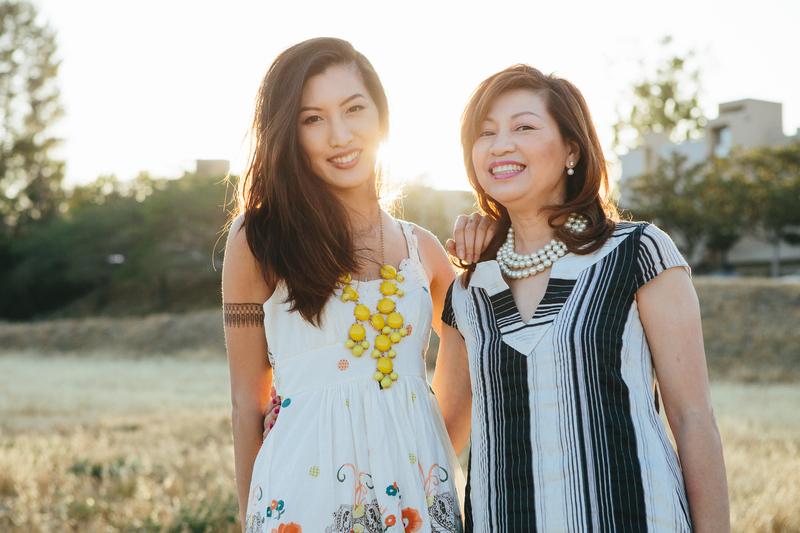 This year I had to celebrate Mother’s Day with my mom a little early because on the actual day of Mother’s Day she’ll be away on vacation with her sister in Europe. 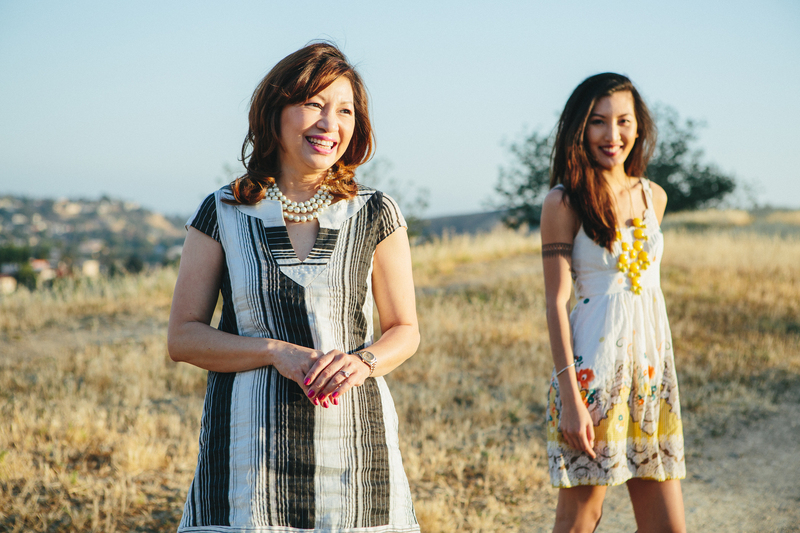 My friend Brian did some quick Mother Daughter portraits for us which I will be printing for my mom as a Mother’s Day gift. 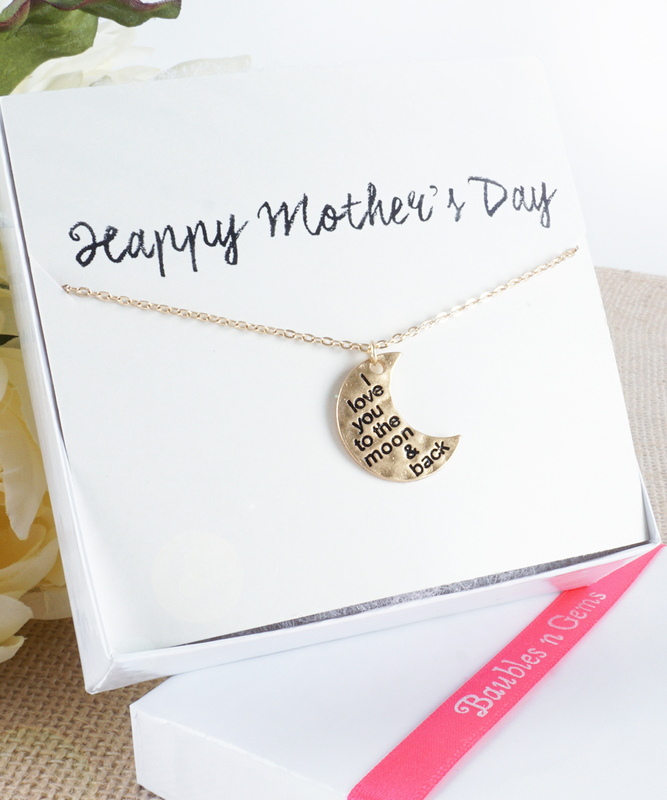 I also got her this adorable pendant necklace that says “I love you to the Moon & Back” from Baubles & Gems. It’s sweet, simple and perfect for everyday wear. My mom like most women loves flowers, so a bouquet of flowers although may be a bit cliche, it’s still always a good idea. 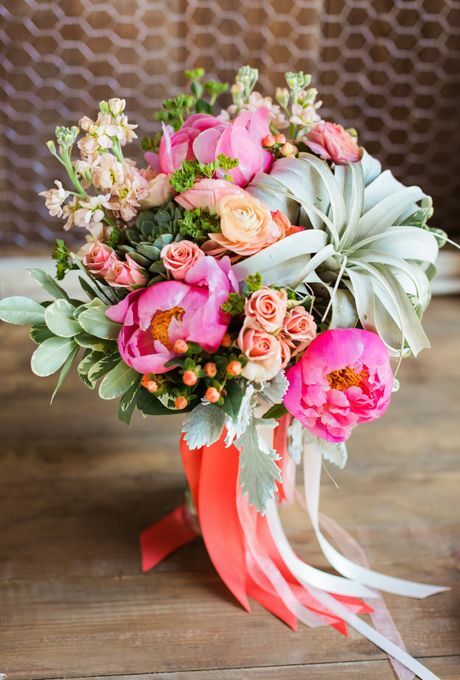 Peonies are our favorite flowers – but it’s not always so readily available in LA so sometimes I prefer to gift her with fresh potted flowers or air plants because I know that they’ll last longer than a week! 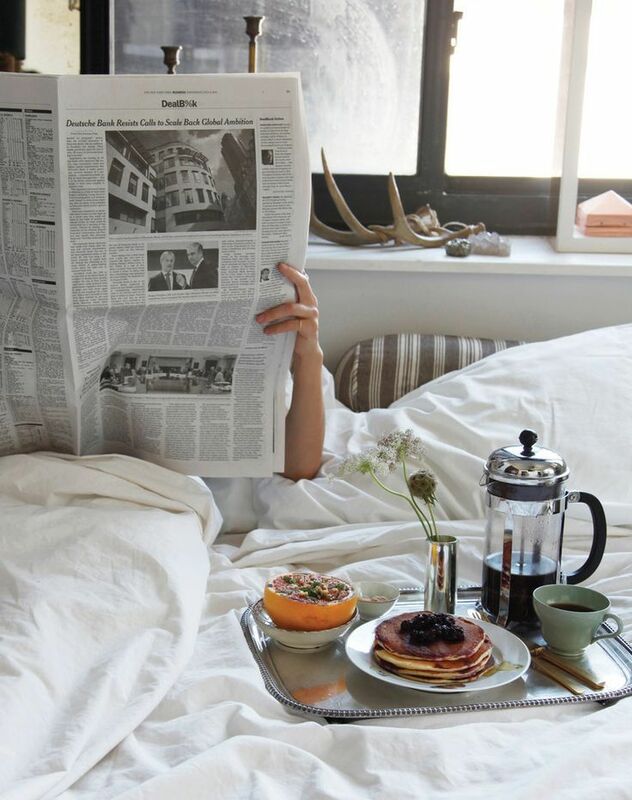 Your mothers should have told you at least once in your lifetime that breakfast is the most important meal of the day. So, why not make her some yummy breakfast? I found these delicious healthy pancake recipes on Pinterest with gluten-free and vegan options for every type of Mom out there and can’t wait to try them out. 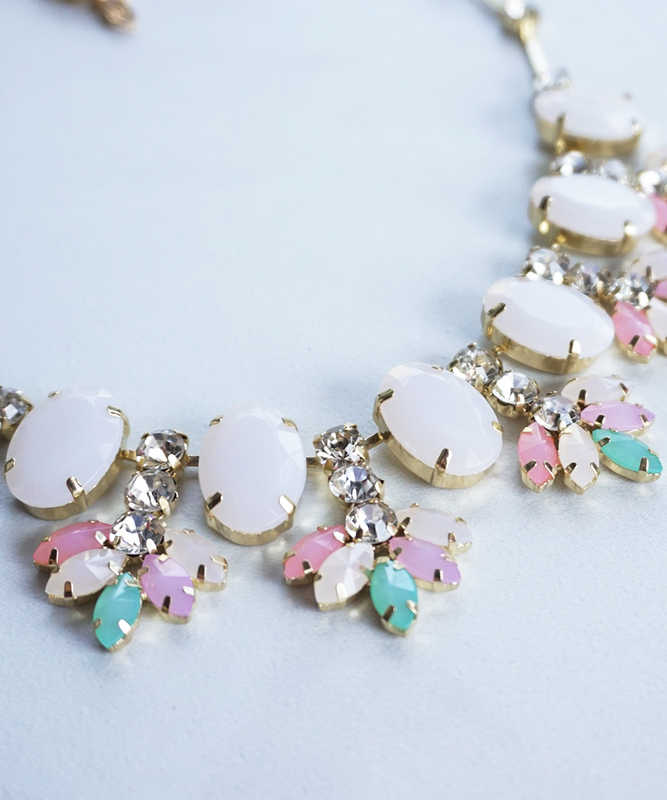 This Crystal Floral Statement Necklace is sooo Spring! It was like it was made for this high waisted floral skater skirt from Forever 21. I paired it with a bright red-orange solid crop top. I love when the weather gets warmer because that means shorts and skirts all week long. 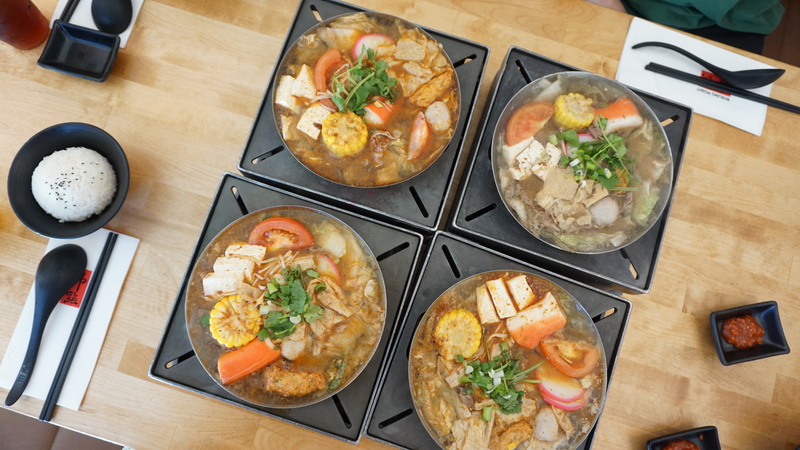 Even though it was in the high 90s today, we decided to visit one of our favorite hot pot spots – Boiling Point for some hot pot. We ordered four beef hot soups – 3 mild and 1 non-spicy and it was really good! Definitely satisfied my hot pot cravings for a while. 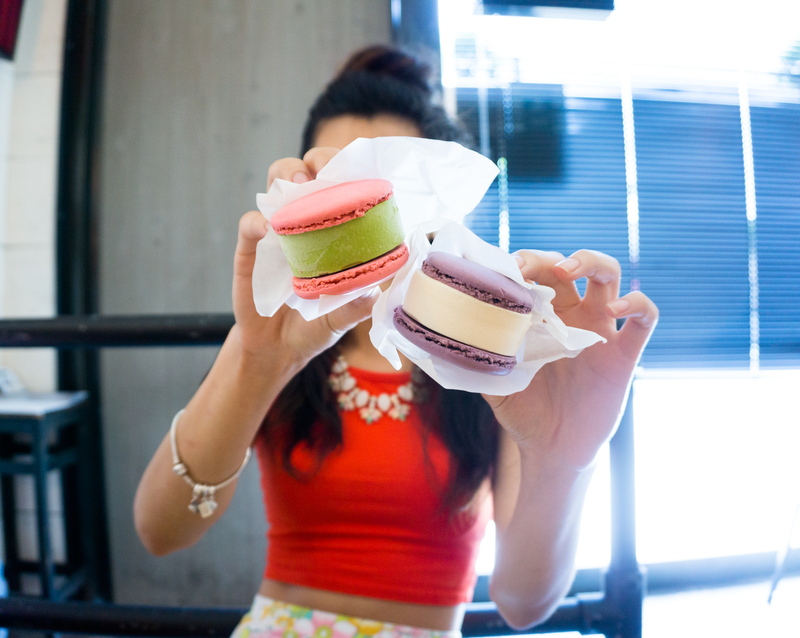 Of course we had to top our meal off with some macaron ice cream sandwiches – I ordered green tea and my brother ordered the vanilla one. Soooo good! 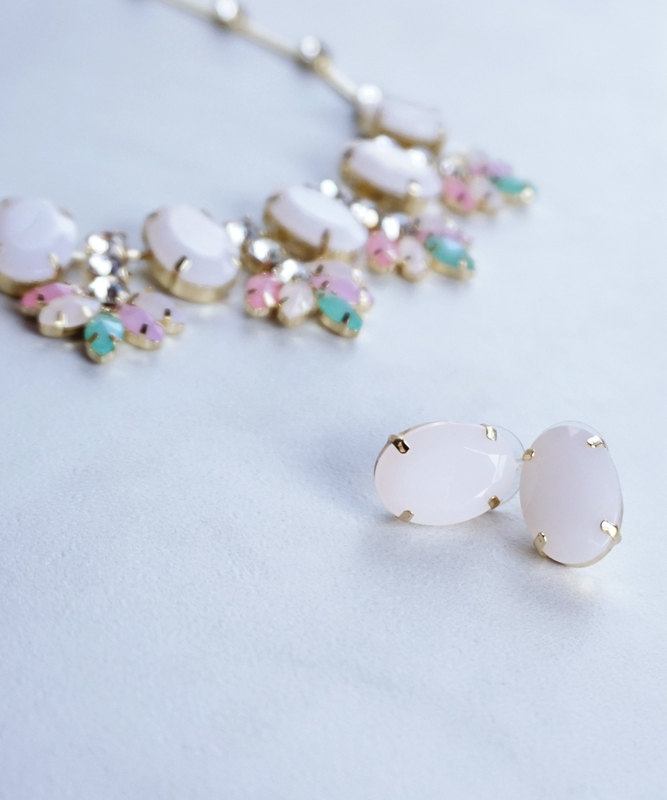 Here is a closer look at the Spring Pastel Statement Necklace – it comes with matching earrings as well! 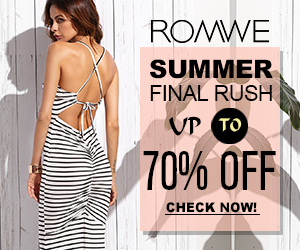 This lovely piece will definitely be worn on repeat this season! USE CODE: BNGMOM for 30% OFF YOUR PURCHASE!